Advanced Masonry Weeps | Masonry Technology, Inc. In full-width cavity masonry weeps are installed on flashings to let water out of the wall system. But not all weeps drain effectively. Cavity Weep™ and Stone Cavity Weep™ high performance self-spaced weeps create multiple tunnels for drainage directly on the flashing. 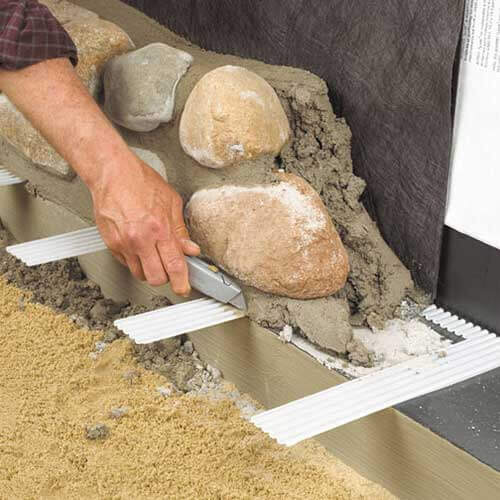 The weeps are rolled out on the flashing before the bed joint of mortar, ensuring ample weeping capacity and proper weep location. The translucent plastic takes on the color of the surrounding mortar - no special colors needed. High-performance, self-spaced weeps for standard brick construction save time and ensure that the wall drains at its lowest point. 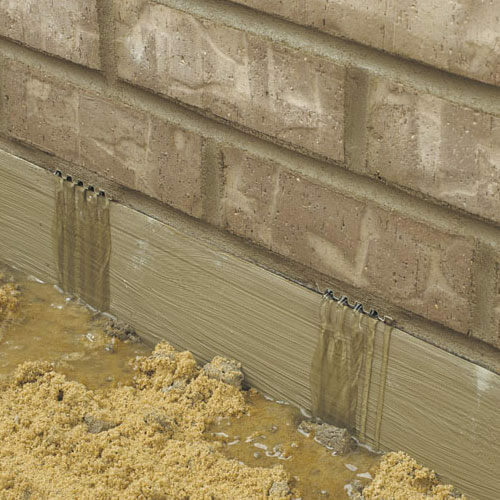 Advanced masonry weeps designed to drain full-width stone and oversized masonry unit walls.